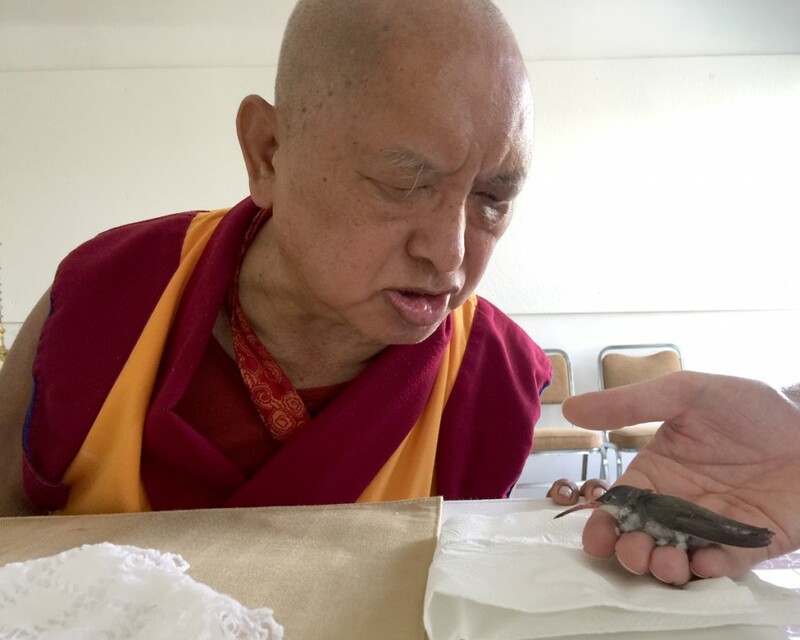 Lama Zopa Rinpoche blessing an injured hummingbird, which after a little while flew away, Mexico, September 2015. Photo by Ven. Roger Kunsang. Lama Zopa; the king of delusions, thinking our false “I” is real! We need to practice the good heart for happiness. You can find teachings and advice from Lama Zopa Rinpoche on happiness and a meaningful life by visiting the Lama Yeshe Wisdom Archive.